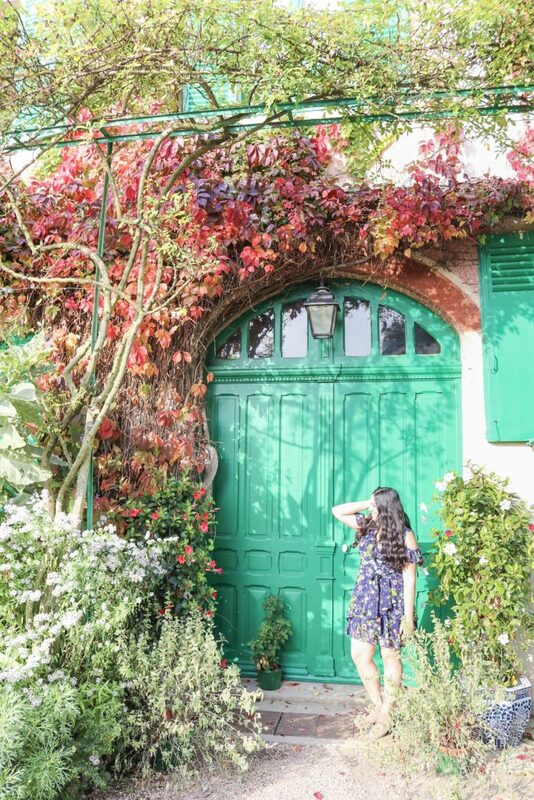 The first stop on our France road trip was Giverny to visit Monet’s home and garden. As per usual, we were trying to squeeze a lot into our day’s itinerary and didn’t allow ourselves enough time to fully enjoy Giverny. 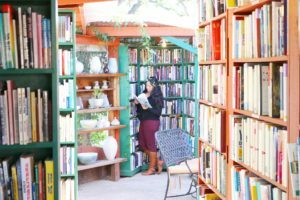 We were surprised by how cute and charming the town is and how much time one actually needs to be able to experience it fully. 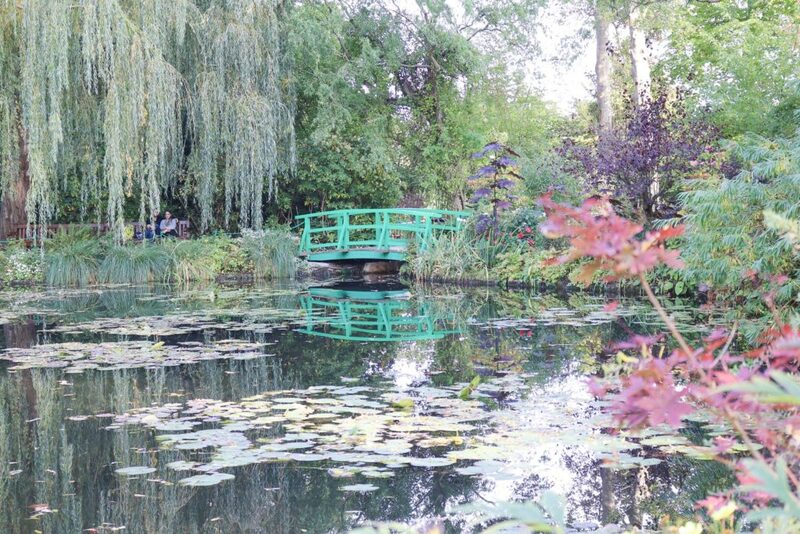 Giverny is the perfect day trip from Paris or stop to add to your own France road trip. 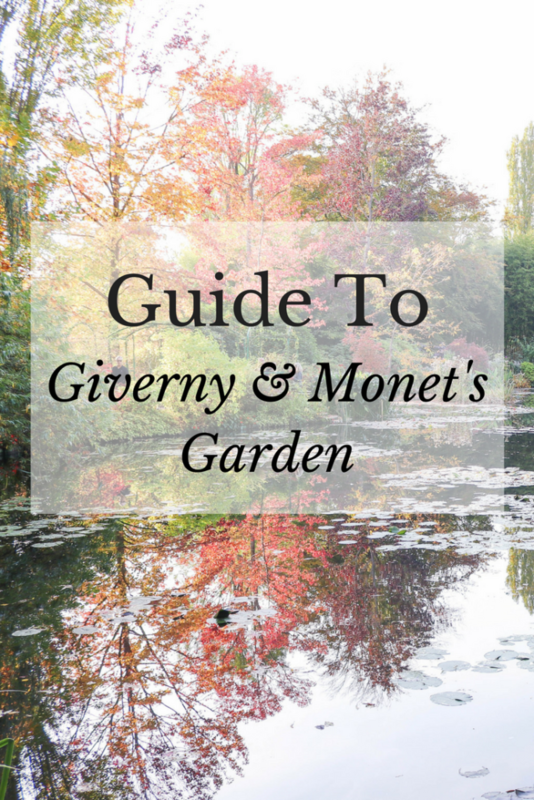 Here’s our guide to Giverny and Monet’s home and garden, including things to do in Giverny. We typically prefer to travel by car, as we like being able to stop whenever and wherever we please. 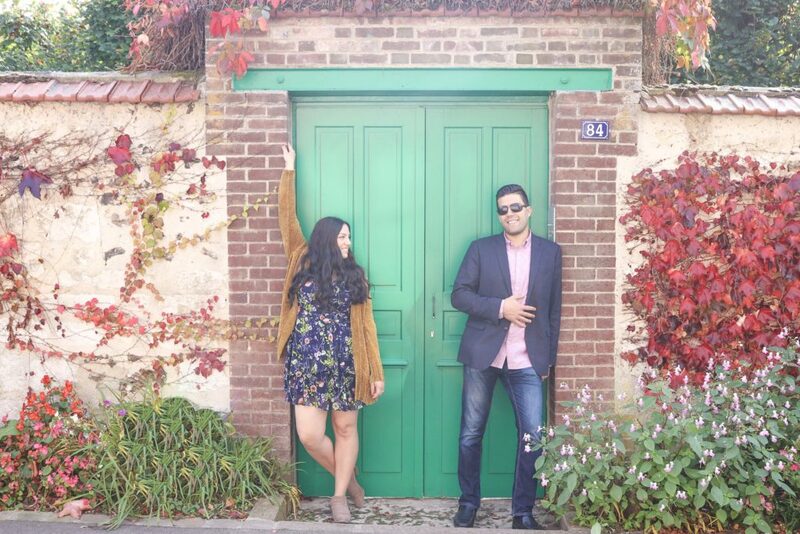 We didn’t quite realize how beautiful the countryside and villages en route to Giverny are and we didn’t allow ourselves enough time to be able to stop and explore as much as we liked. If you tend to want to stop a lot like us, allow extra time for the trip. You can also pack a picnic and stop somewhere along the way to enjoy it. 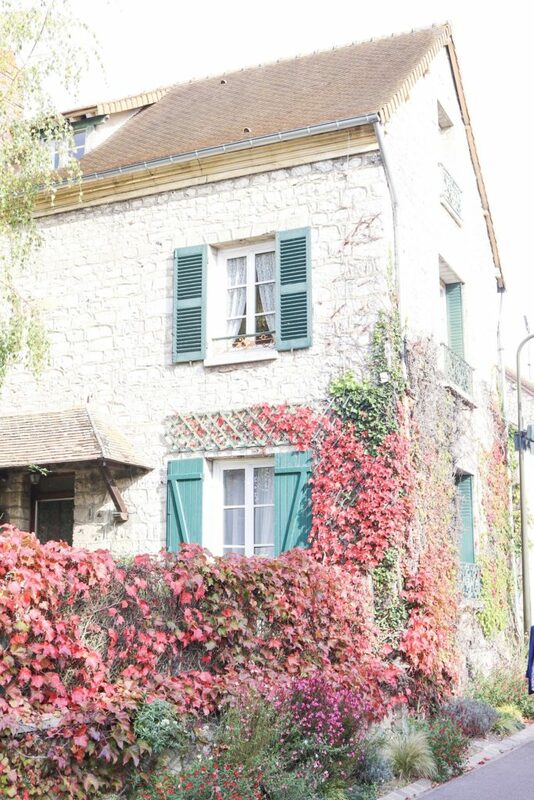 Whether you prefer to drive or not, there are several options to get to Giverny from Paris. This is the fastest route and the route we took. It took us about an hour to get to Giverny from Paris. It is slightly pricey, the toll roads from Paris to Giverny cost us about €30. We continued on from there, but I’m assuming it will also cost about €30 to get back to Paris. Worth it if you’re short on time and the route is still very pretty! Keep in mind, we went in the fall and toll prices might be higher in the spring and summer. Most navigation systems will automatically default to a route with toll roads, but you can select to avoid toll roads. A countryside route will take you slightly longer as the roads are often just one lane, but the scenery is breathtaking. This is the perfect option if you have ample time and are planning to stop along the way and have a picnic. It’s really easy to take a train from Paris to Giverny. This might be the most convenient option if you don’t have plans to rent a car while you’re in France. Take the “Grand Lignes” from Saint Lazare train station in Paris to Vernon (45 mins, timetable here) and then hop on a bus that will take you straight to Giverny. 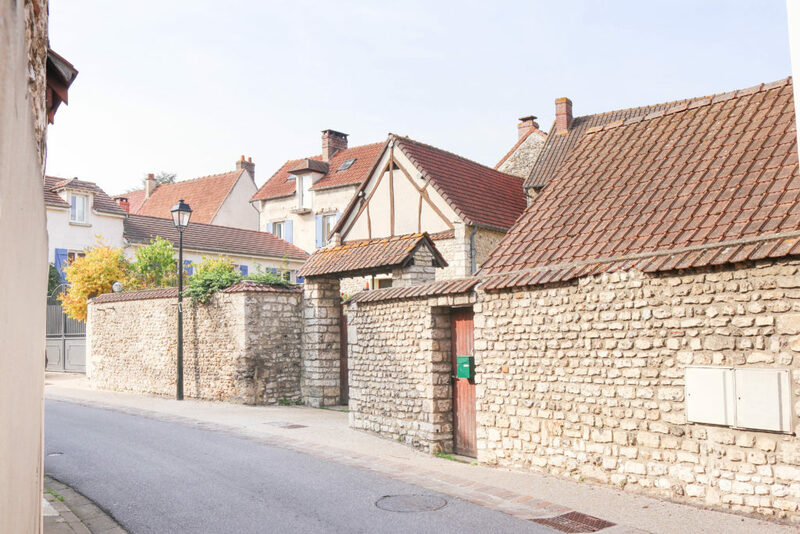 There are many organized tours that offer day trips to Giverny and also a combined Giverny and Versailles day trip. This is convenient and time efficient, but personally I think combining the two in one day is too rushed. You can also take a private tour if you prefer. 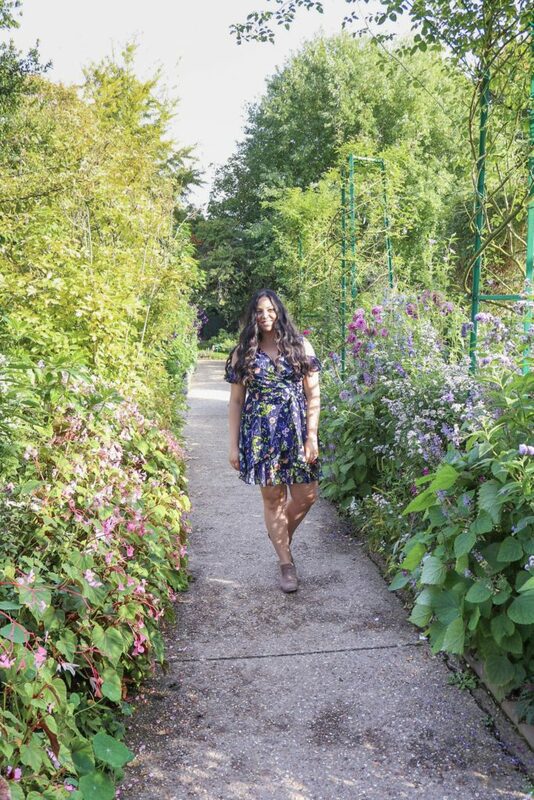 I personally do not think a tour is worth your money as it is really simple to get to Giverny and really easy to navigate around there as well. Both Monet’s Garden and Versailles also offer audio guides for purchase. 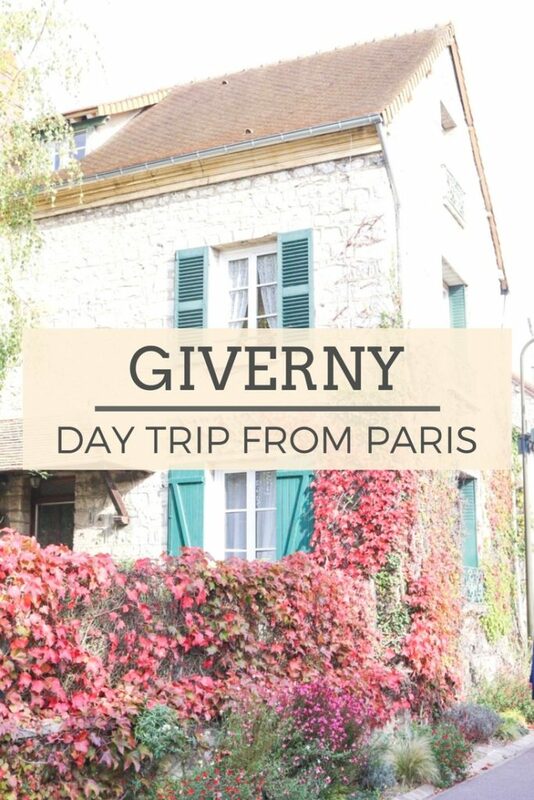 I’d prefer to spend my €€€ on a nice dinner rather than take a tour for Giverny, but again, that’s my personal preference! The garden and home are open from March to November. I suggest double checking the exact dates just in case they change slightly from year to year. We visited in the fall, which definitely has its charm. The garden and especially the lily ponds, were just a magical show of autumn colors. 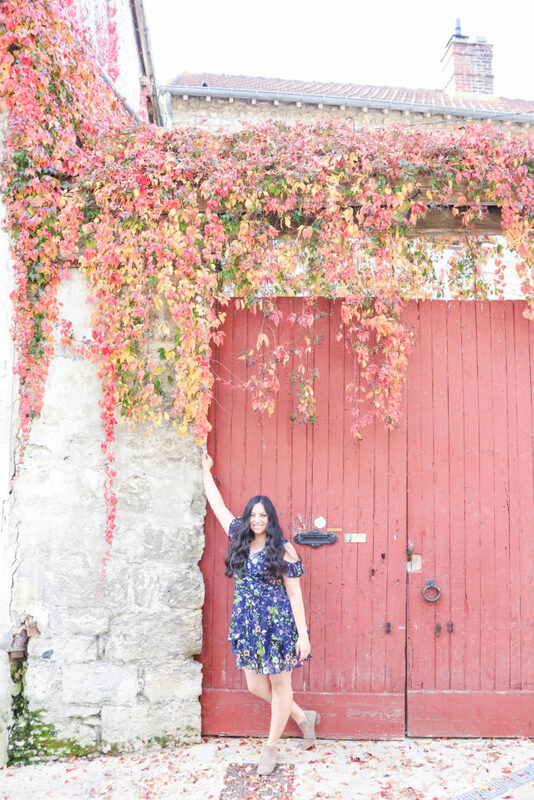 If you’re a fall lover, you may be as wow-ed as I was! The other perk to visiting in the fall is that it’s shoulder season and the gardens are not overly crowded. That being said, the absolute best time to visit is probably May and June when the garden is in full bloom! The lily pond will be gorgeous around that time and the bridges will be covered in wisteria. I would love to go back someday in the spring. That being said, spring is also the most crowded time of the day. Try to avoid weekends if you go around May and June and either get there early or plan to stay around closing time. The gardens are open from 9:30am – 6pm. 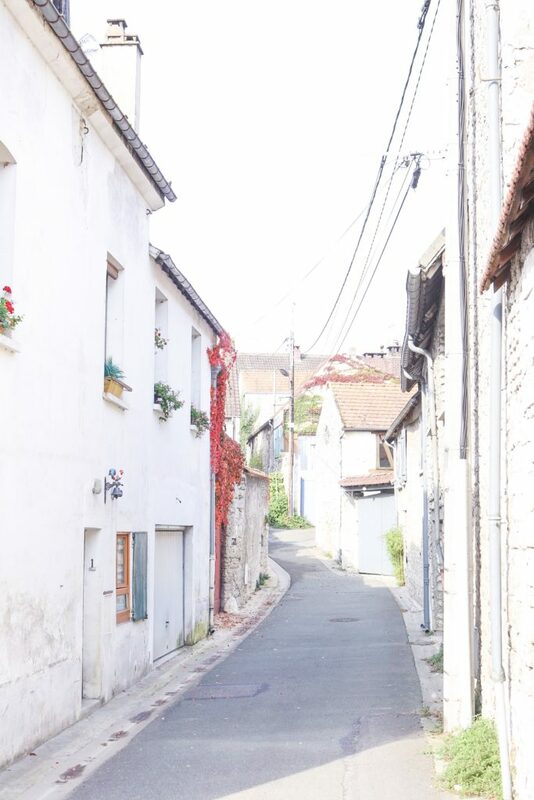 The whole town of Giverny tends to shut down by 6pm so you won’t find any open art galleries or restaurants, but you may find a few lingering shops. We went in the later afternoon which was nice as the crowds seems to disappear by around 5:30pm, but this also meant we didn’t have time to explore the art galleries or sit at a cafe. 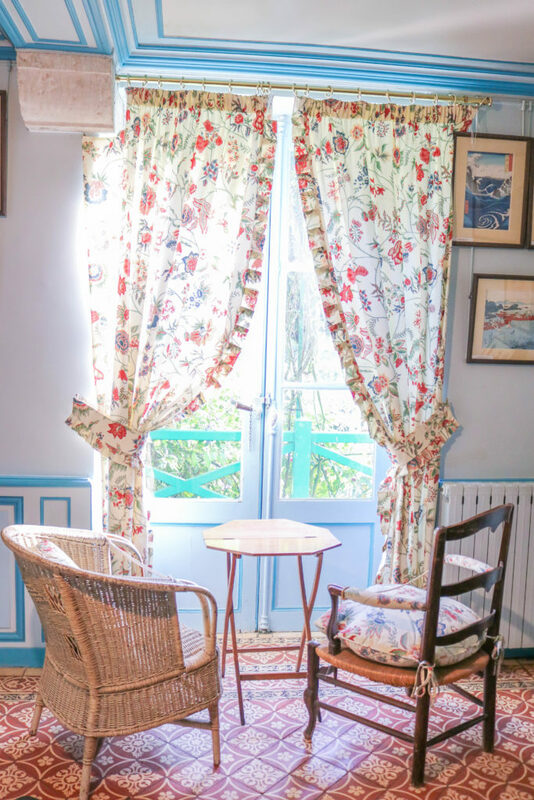 If you’re interested in exploring the town of Giverny as well as Monet’s house and garden, allow yourself a few extra hours before or after. Giverny is a very small town with not a lot to do. I would still allow a full day for your visit, as it’s nice to be able to take a leisurely pace while you’re there. It’s a very charming and quaint town and everyone seemed very relaxed while we were there. This one is a must! If you are not planning on doing this, there’s no point in going! Allow yourself plenty of time to just relax in the garden. If we had more time, we would’ve brought a book and just relaxed for a few hours. I’m not an artist, but even I felt inspired to draw while we were there as it is just so beautiful and you can feel all the creative energy housed there. The home is included in your garden ticket and well worth your time to explore. It’s pretty small, so I would say around half an hour might be enough, unless you like to take your time when viewing art. The home is so charming and there are lots of paintings housed there. Pro tip: if you’re visiting during a busy season, buy your ticket in advance online. If you are purchasing a museum ticket as well, you get special entry into the home and garden. This is a separate ticket price than the home and garden. It’s a very small museum and features a rotating exhibition. Impressionism is my favorite type of art, so I enjoyed the museum very much, but I was slightly disappointed that only one painting of Monet’s was housed there. If you’re hoping just to see Monet’s art, it may not be worth a visit. My favorite place to view Monet’s work is at the Musee d’Orsay in Paris. We really enjoyed just taking a walk around the outside of Monet’s house. We took plenty of photos and enjoyed an ice cream cone. It’s such a beautiful setting and it was so fun to imagine what Monet’s daily life in the village must have been like. 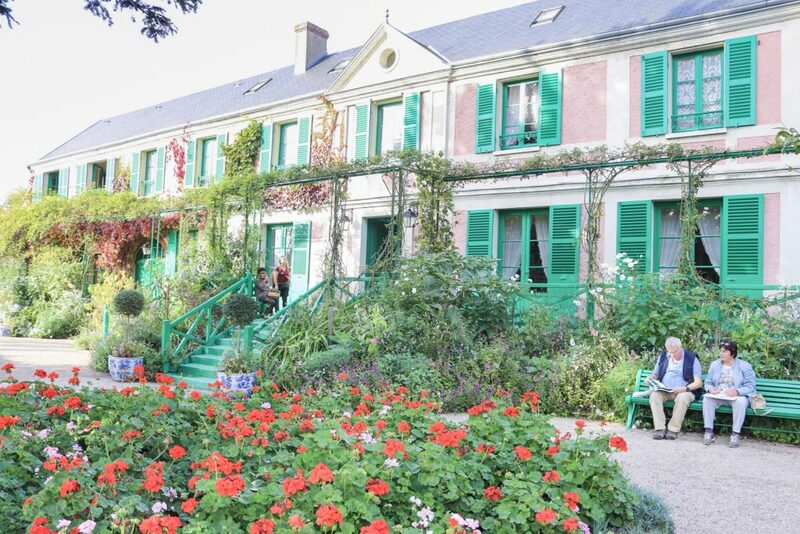 Monet’s house is also really pretty to view from the outside. Just outside of Monet’s museum, house, and garden lies the rest of Giverny. These streets are full of restaurants and art galleries. Spend some time exploring, popping into the art galleries, and then go sit at a cafe for a bite to eat or a drink. 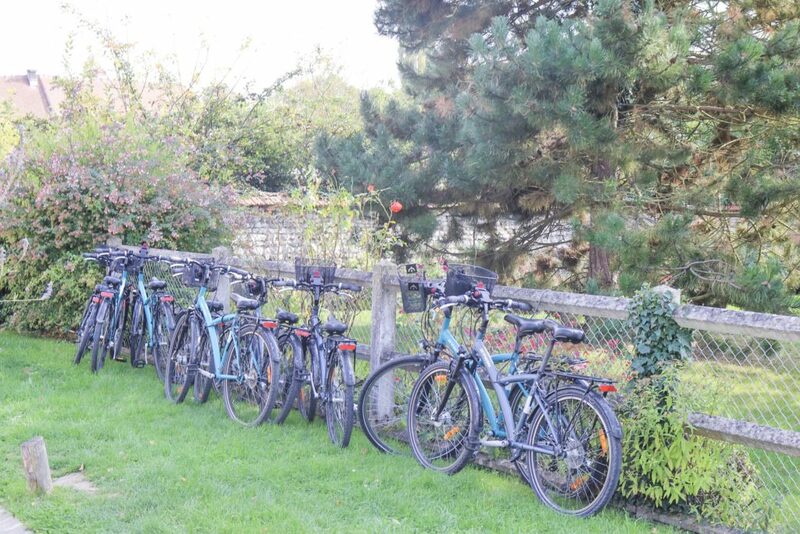 You can also rent bikes and go biking around the cute town! I recommend allowing about 90 minutes to two hours to explore the town. If you’re really insistent on seeing both, you can possibly fit both in. In this case you might want to take a tour rather than go DIY and recognize that it will be rushed! Overall, we really enjoyed our day trip to Giverny. Bassam is not much of an Impressionist lover, but he still really enjoyed the town so don’t worry if you’re not an art lover! PS. HIGHLY recommend THESE SHOES for all the walking you’ll be doing! Aw thank you, it’s a new design I’m glad you like it. If you ever get the chance to go, try to go during Spring! I’m sure it’ll be EVEN dreamier! 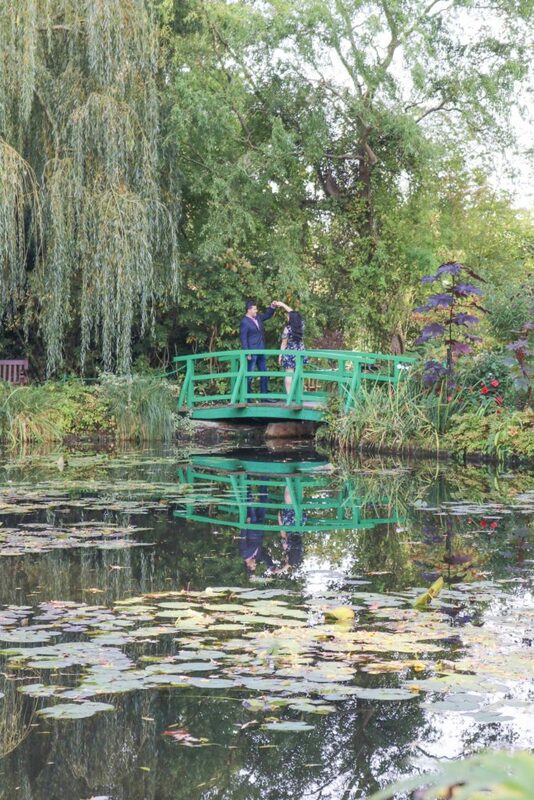 I dearly love Monet and yet have not been to Giverny. #bucketlist!! Oh you would absolutely LOVE it!!! 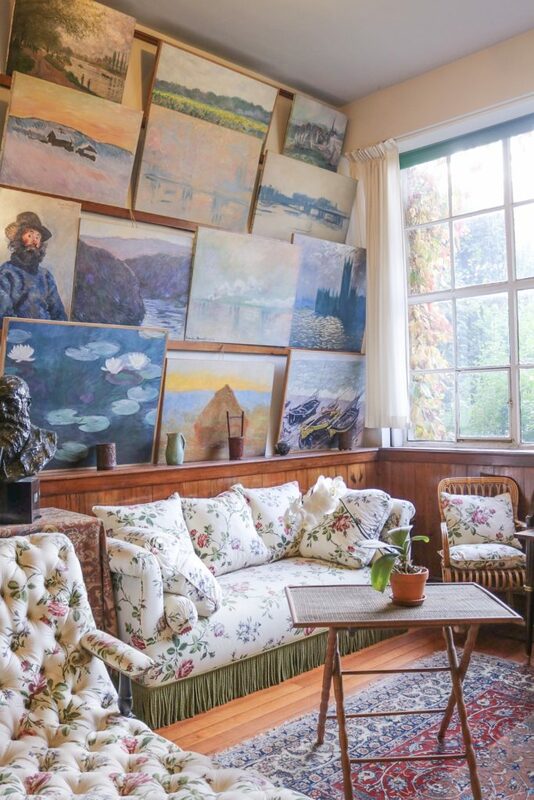 Such a dream for any Monet lover. OMG I’m dying to see Monet’s garden! It looks amazing in the fall, love the colors of the foliage. I neeeeeed to take a day trip next time I’m in Paris! Yes, you do! You would love it! If you can go in the spring I’m sure it’ll be even more magical! Wow this place looks like a fairytale. I wish I knew about it when I was in Paris last year. It’s so pretty. Keeping this pinned so I can visit if I make it back over there eventually! 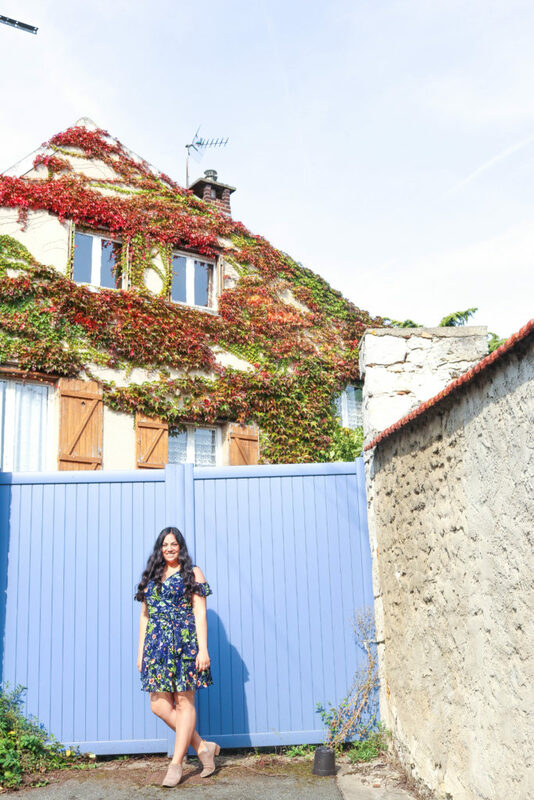 I feel like all of France is a fairy tale! Yes, you must visit next time you’re in Paris! It’s such a pretty town! 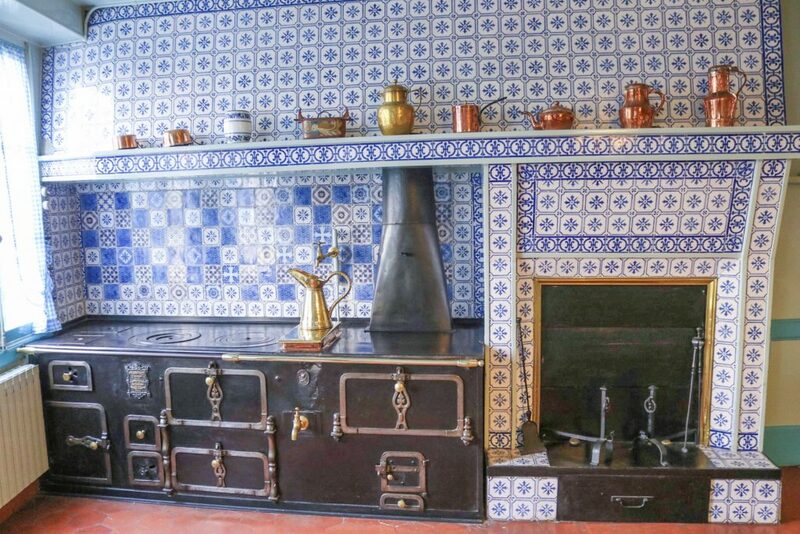 Wow, I’d love to visit Monet’s house. It looks so tranquil. 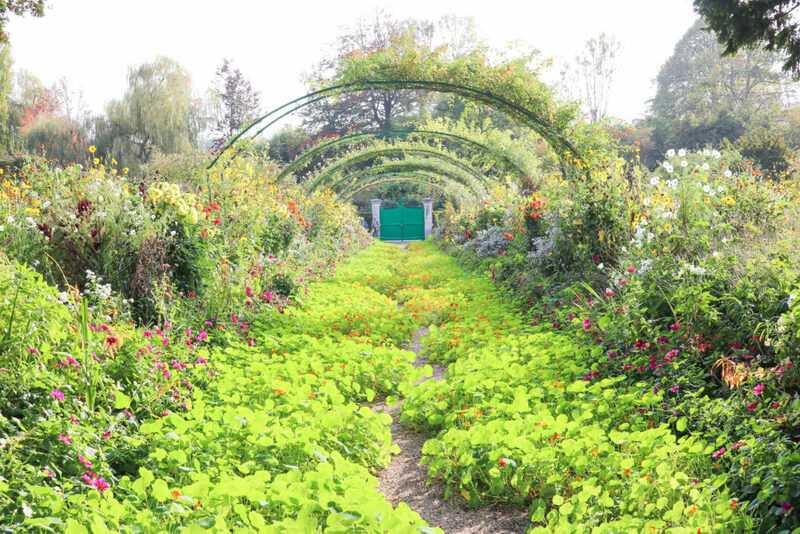 Giverny in general looks beautiful too. 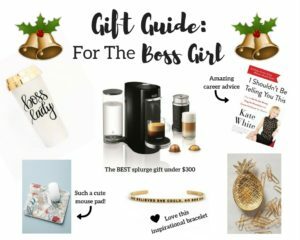 I think you’ll love it! It’s so peaceful and beautiful! I have been to Versailles but we are bringing our girls this time to Paris and they haven’t been. 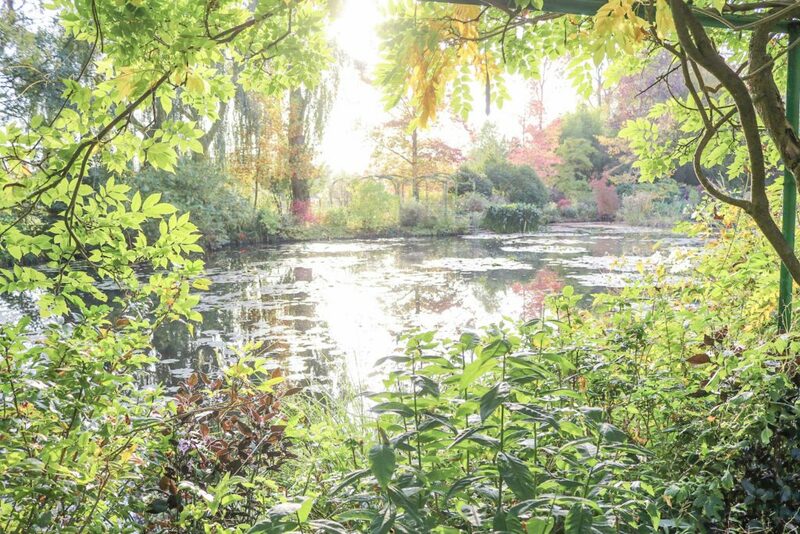 I really want to visit Giverny and your pictures have convinced me!! 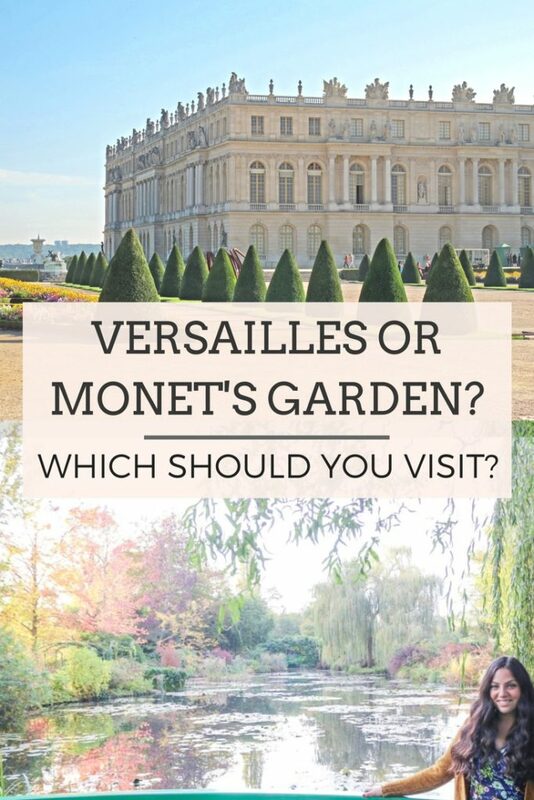 I just now need to decide if we should take a girls to Versailles as well…ahhh, so many decisions!! That’s always the problem! There’s always so much to do and it’s a challenge to decide how much to fit in that’s doable and also won’t feel too rushed! 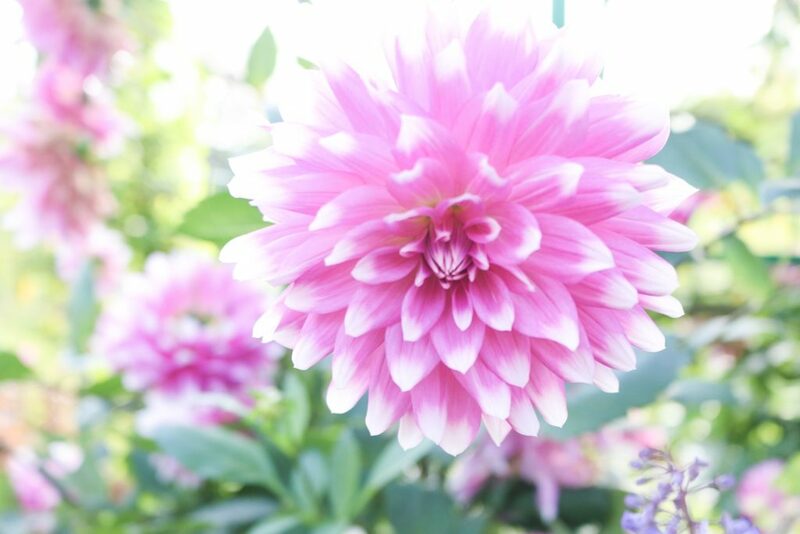 We love Giverny, I don’t think you’ll regret it! Plus, if you can’t squeeze it all in, that’s just a reason to go back again! 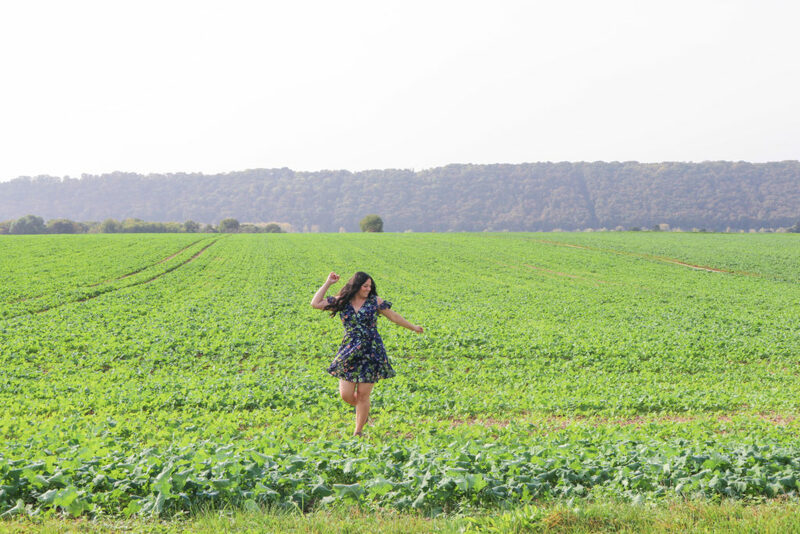 I can’t get enough of France! We’ve got a different option: Fat Tire Bike Trips. You take the train with your group to Vernon. You then walk to the garage bike storage and stop at the village market to buy a lunch. We had perfect cheese, lovely sausage, a bottle of wine, and the most delicious strawberries, ever. We reach the garage and are fitted with a fat tire bike that suits you. Your guide will help. You then bike to a romantic park to eat, and then an easy three mile ride on a no-traffic path along the Seine, to Giverney! I’m in my 70’s and had no trouble. 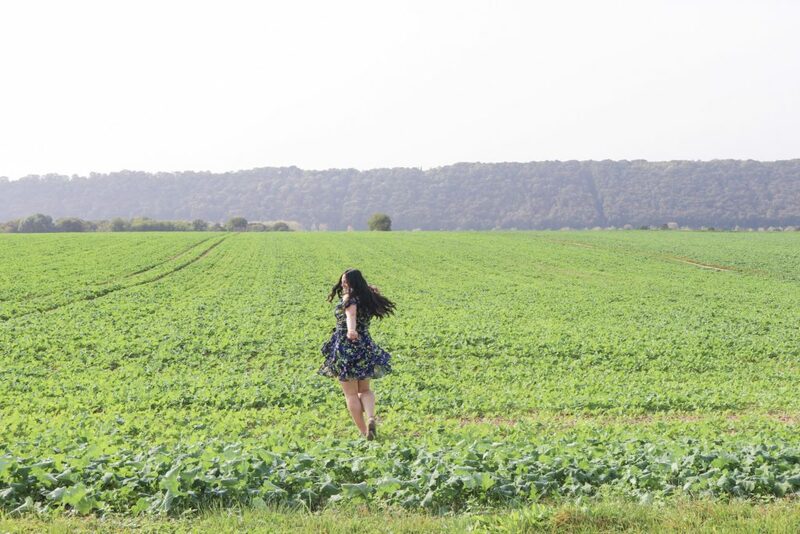 I’ll never forget that beautiful trip. Ever. Oh! That sounds absolutely magical! Thank you for sharing, Mary Ann! You’ve inspired us to try this on our next trip! 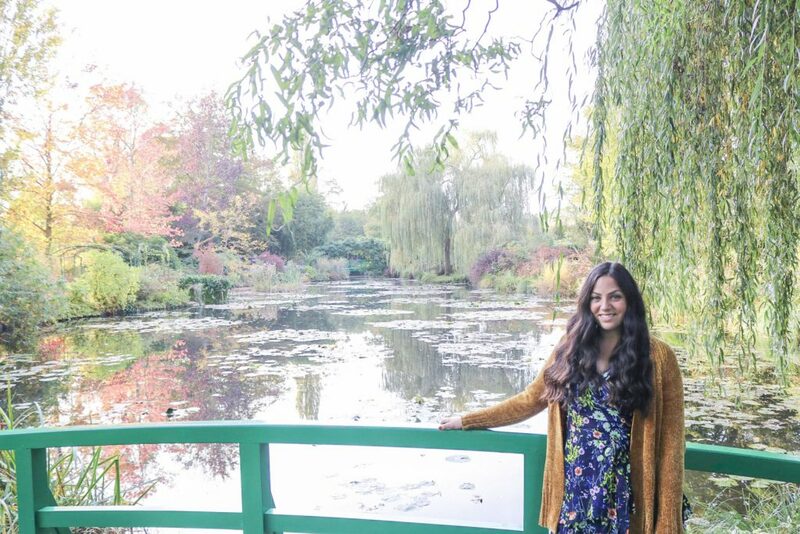 We visited Monet’s House and Gardens in the fall too! (Back in 2017). And though I was bummed the lily pads weren’t in bloom, there were still PLENTY of flowers blooming all around and you’re right, the fall foliage gives autumn at the gardens a beautiful feel. And it was relatively empty when we were there so it was a sweet escape from Paris. 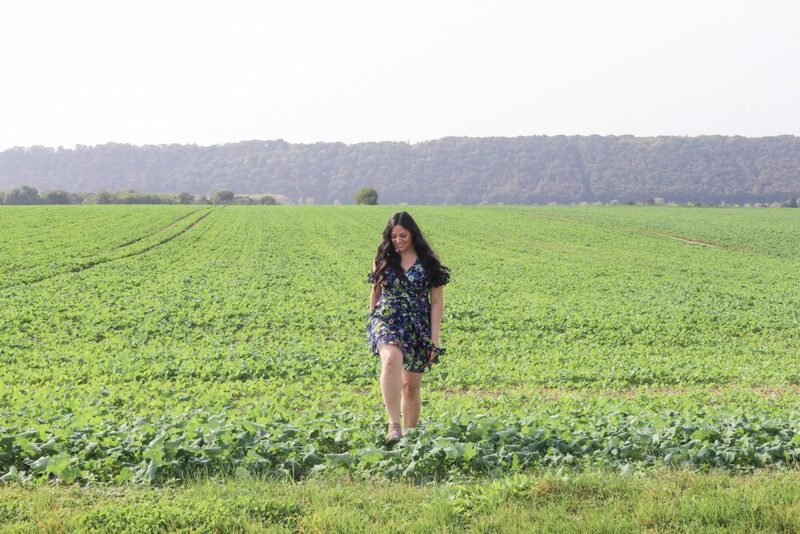 It was one of the most relaxing days during our 3 week Franc & Italy trip. I’m so glad you enjoyed visiting Monet’s home and gardens as much as we did! I know fall isn’t the ideal time to visit, but we loved it! We are going on an Italy and France road trip this year! 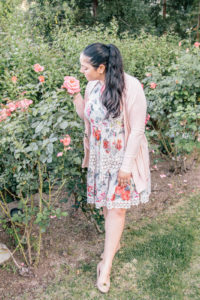 Do you have a blog post on your trip? I’d love to check it out!